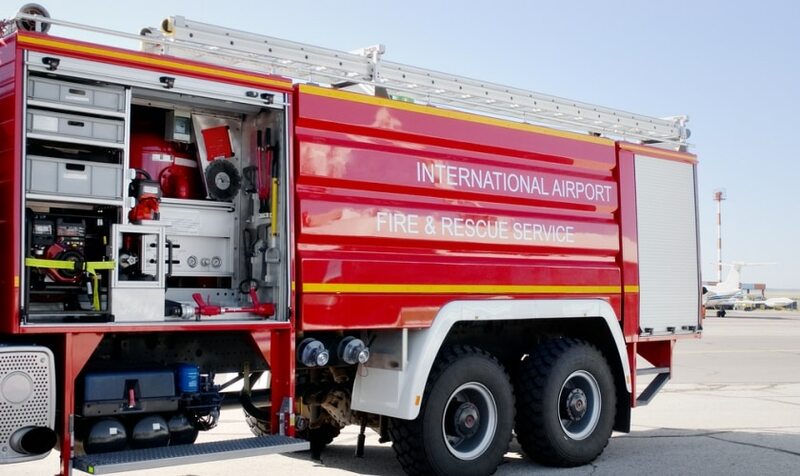 Fire brigades, waste disposal companies or relief organisations (fire and disaster prevention) and also municipal authorities need vehicles that they can rely on. Stringent safety demands influence the design of the units. They require the highest level of technical know-how when testing subassemblies. Efficient in quality control, with many variants in testing: We deliver full power for function tests on special-purpose vehicle components. These extend from cage, chassis or ladder test stands to screwdriver data acquisition and final inspections. Extremely strong – the many advantages of our solutions. For example reduced diagnosis and repair expenditure in the event of a fault. Or the service we provide – that's something that you can always rely on! At the high-tech manufacturer of Rosenbauer fire engines, we have installed several test stands.